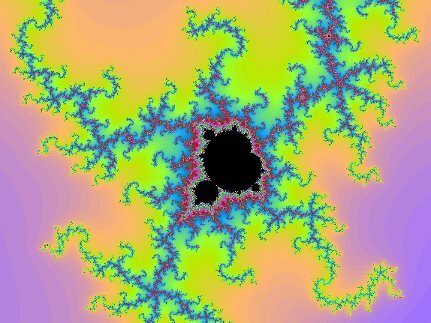 Clicking anywhere on the fractal will zoom in. You’ll need to reload the page to zoom out. Zooming in while the fractal is still being rendered will interrupt the previous rendering job. All the calculations are done via web workers, so should not block the UI. The algorithms used to calculate these types of fractals are easy to parallelise, so it was not particularly difficult to add more workers. One side effect of this is that the lines of the fractal don’t always get rendered in order. With Chromium, this maxes out all six cores on my desktop system. In contrast, Firefox only keeps three cores busy. As workers are not directly tied to operating system threads, this may just mean that Firefox allocates fewer threads for running workers. I haven’t tested any other browsers. Browser technology certainly has progressed quite a bit in the last few years. Recently I’ve been working on a Firefox extension, and needed a way to test the code. While testing code is always important, it is particularly important for dynamic languages where code that hasn’t been run is more likely to be buggy. The packages are not quite up to the standard needed to go into Ubuntu yet (among other things, there are no man pages for the various commands), but they do work and shouldn’t eat your system. This will launch an instance of Firefox using a temporary scratch profile that loads your extension, and then run your tests. The tests will run inside the Firefox instance with the results fed back to the mozmill utility. When the tests complete, the Firefox instance will exit and the scratch profile deleted. While many of the mozmill tests that Mozilla has written are relatively high level, essentially treating it as an user input automation system, you have full access to Mozilla’s component architecture, so the framework seems well suited to lower level unit testing and functional tests. There is a “jumlib” module that you can import into your tests that provides familiar helpers like assertEquals(), etc. One difference in their behaviour to what I am used to is that they don’t interrupt the test on failure. On the plus side, if you’ve got a bunch of unrelated assertions at the end of your test, you will see all the failures rather than just the first. On the down side, you don’t get a stack trace with the failure so it can be difficult to tell which assertion failed unless you’ve provided a comment to go with each assertion. The framework seems to do the job pretty well, although the output is a little cluttered. It has the facility to publish its test results to a special dashboard web application, but I’d prefer something easier to manage on the command line.